“Theology of the Body” is the working title St. Pope John Paul II gave to the first major teaching project of his pontificate. 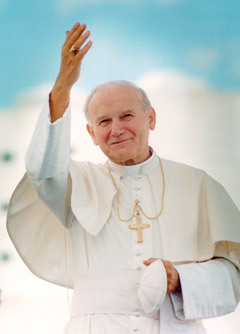 When John Paul II was elevated to the papacy, he gave a series of reflections in the form of weekly general audiences between September of 1979 and November of 1984. These short talks have become known as "The Theology of the Body". How do I attain true happiness on earth? This theology is for YOU. What does the Diocese offer?